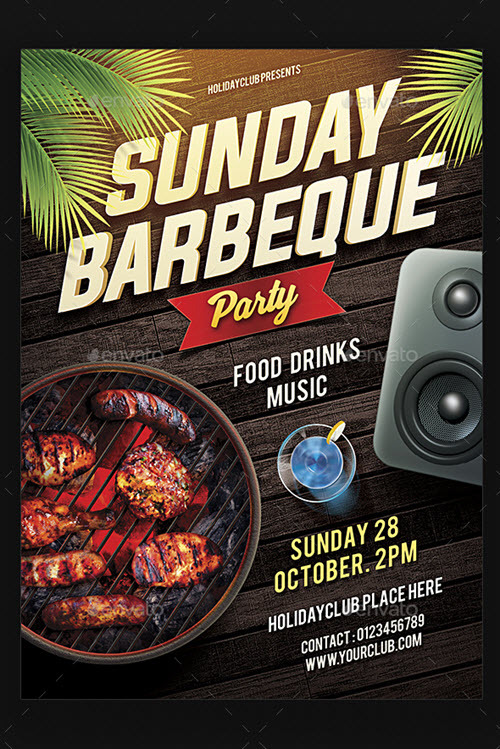 By: Nelly Vinnik posted on September 19, 2018 in Inspiration . 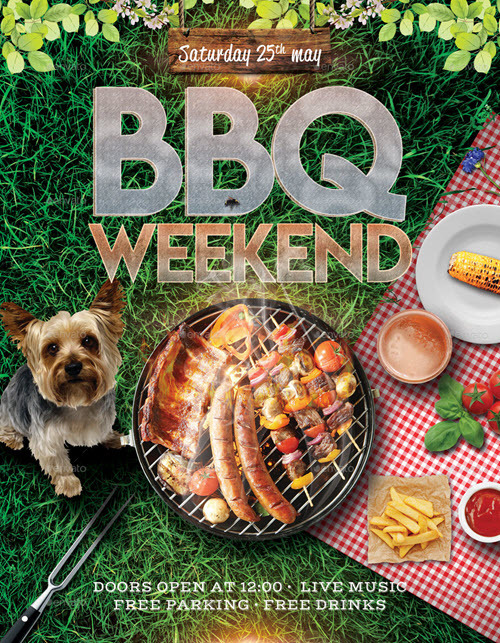 The BBQ is the best way to spend time with friends, have fun and eat a moist barbeque. 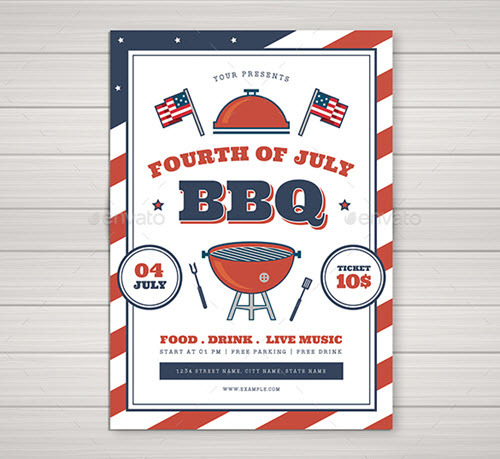 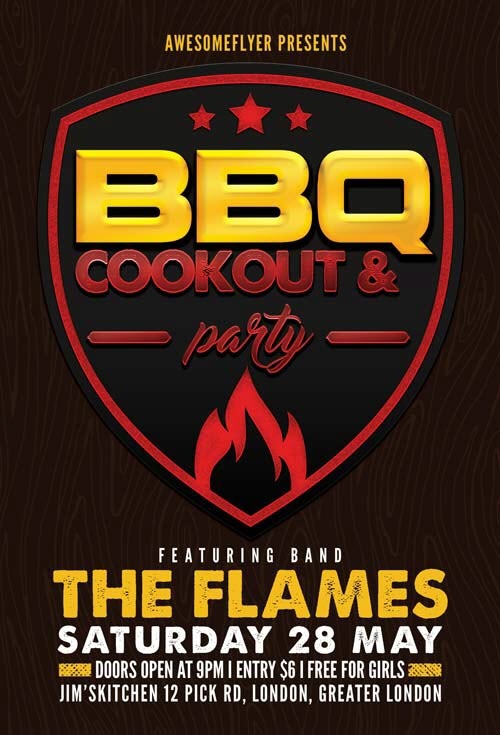 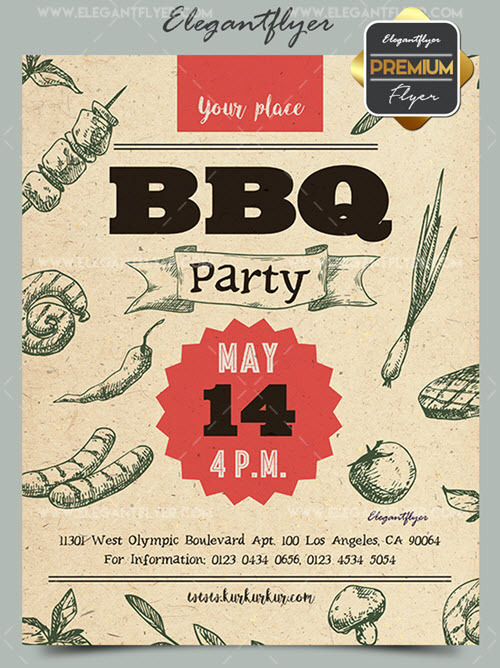 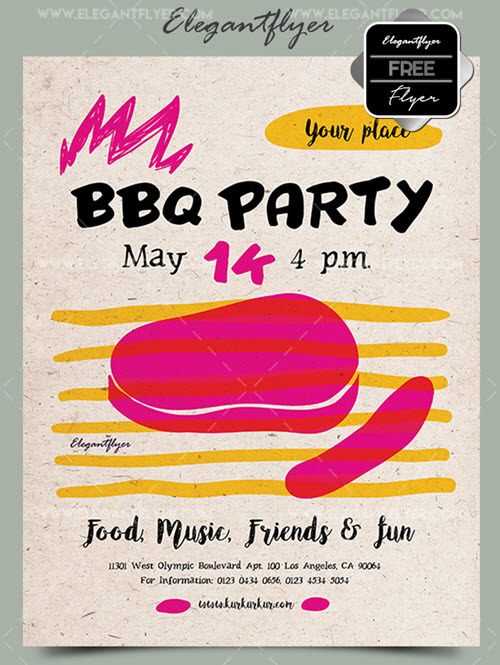 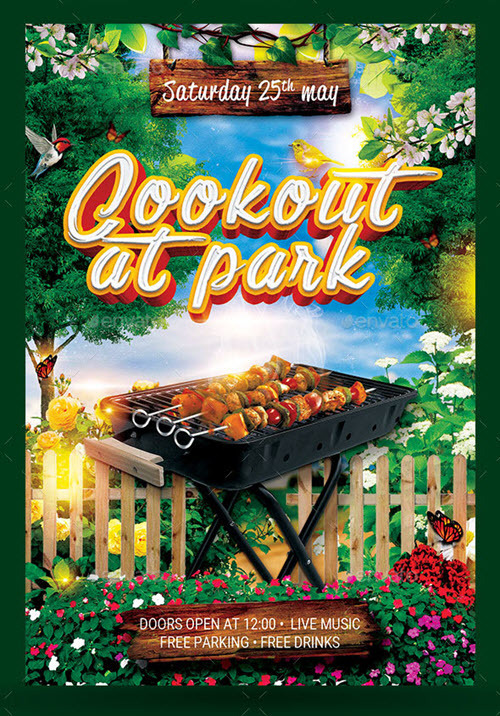 The best way to invite a lot of people for your barbeque outdoor event is to give out BBQ flyer invitations with the details as for the place and date of an event. 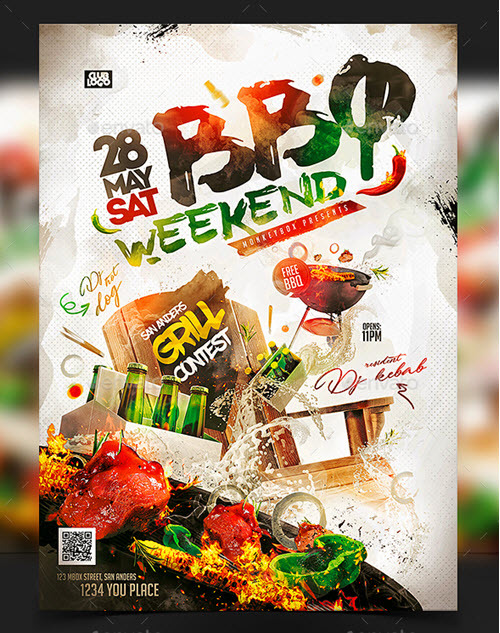 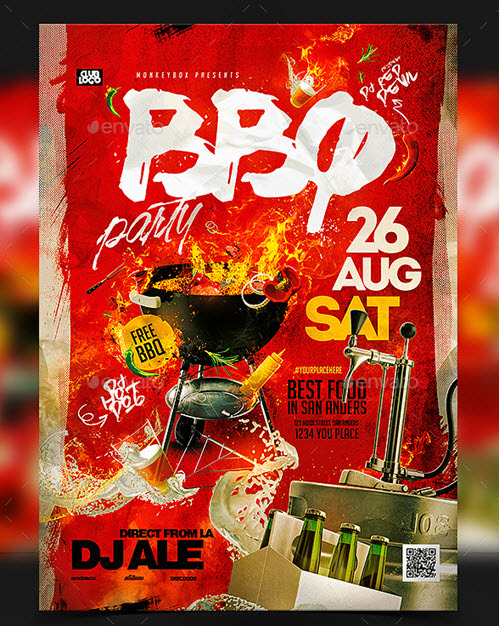 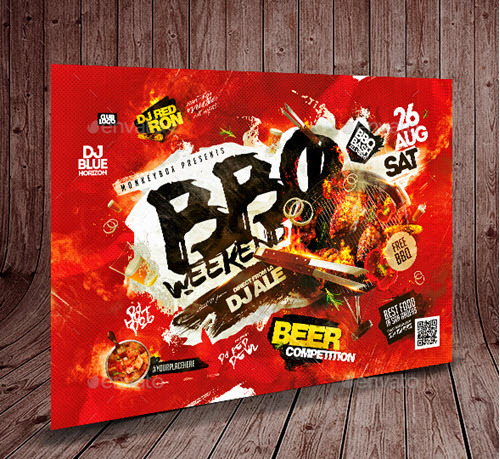 We would like to provide a list of 35 premium and free BBQ flyer templates in PSD for your outdoor barbeque party event promotion. 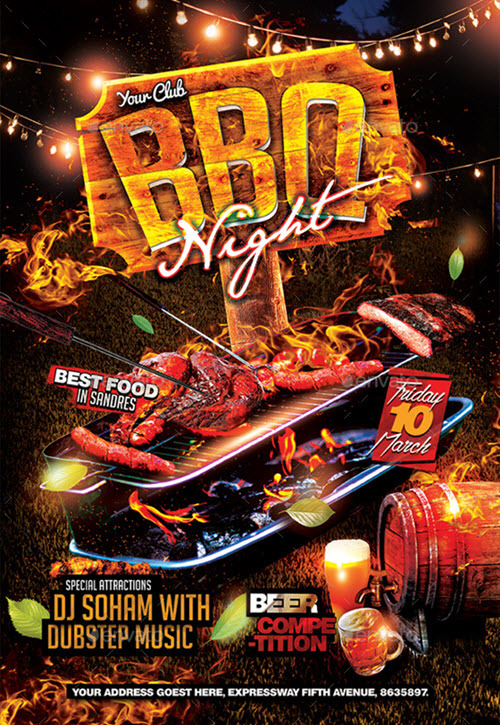 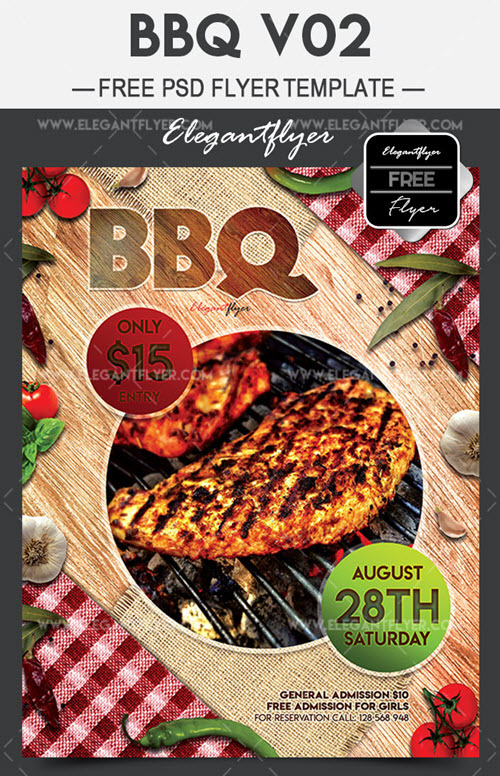 You can download any of these paid and free BBQ event flyer PSD templates and customize in Photoshop, one of the most effective editing program which help to personalize any flyer template in matter of minutes: Get Photoshop as part of a Creative Cloud single-app plan for just US$19.99/mo. 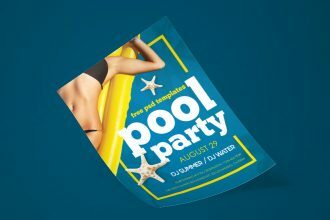 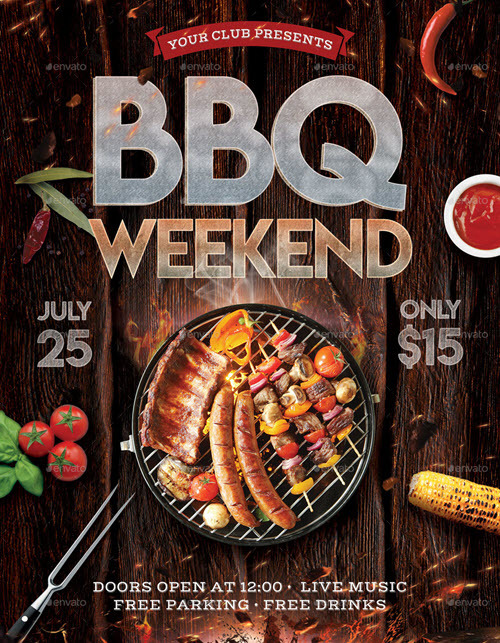 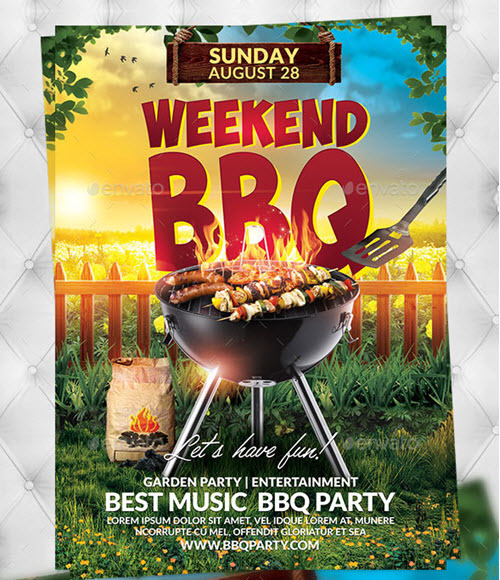 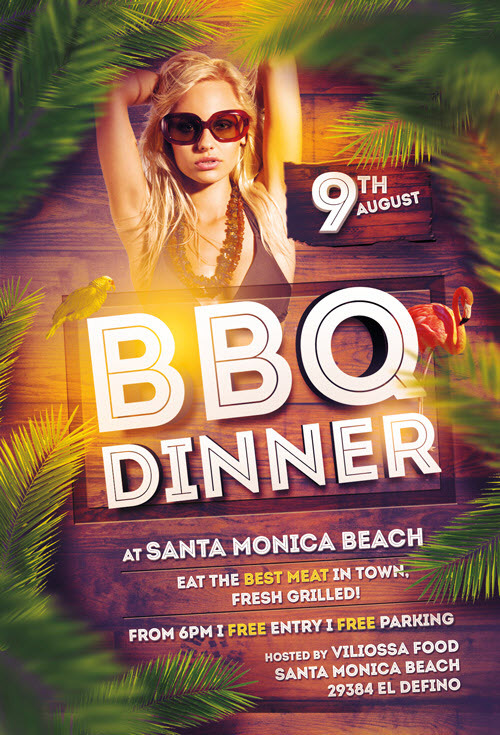 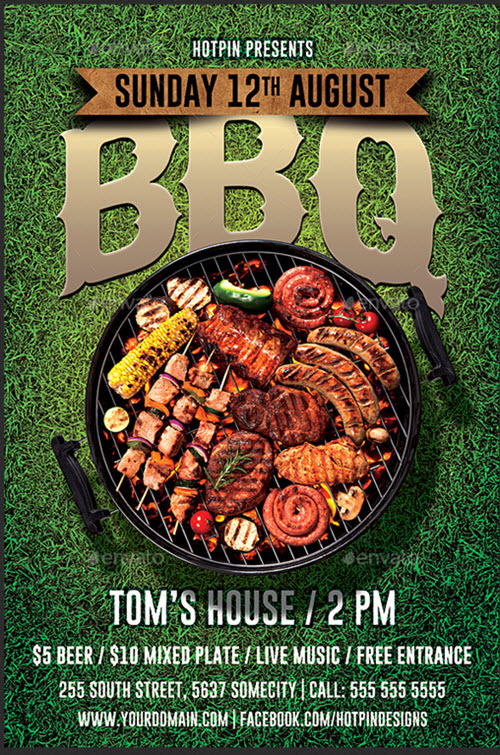 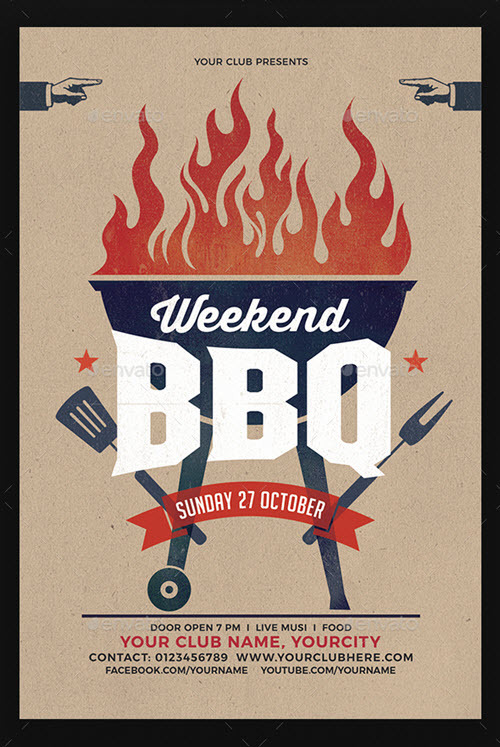 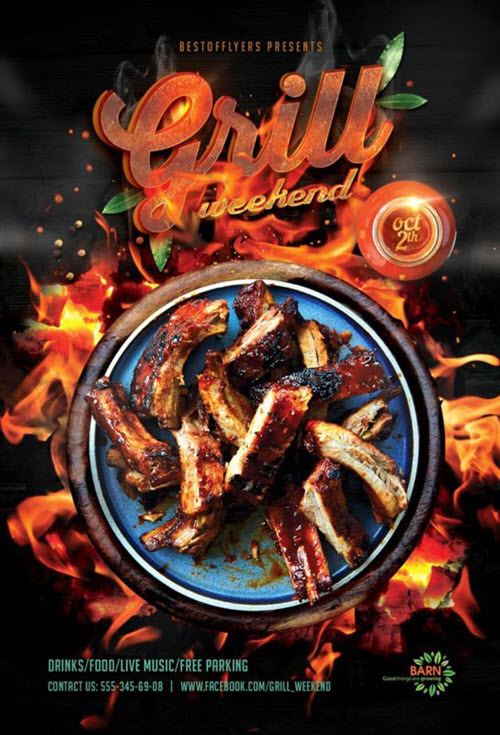 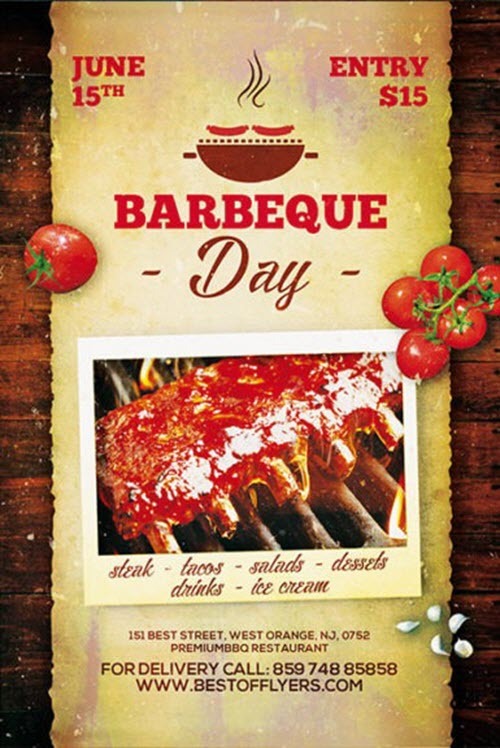 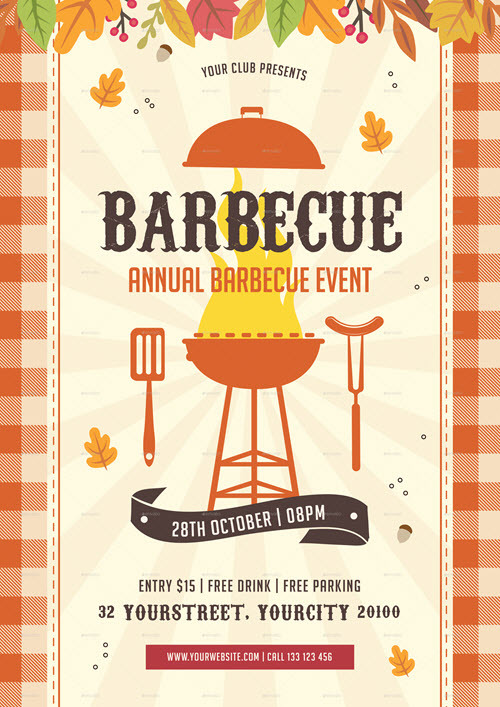 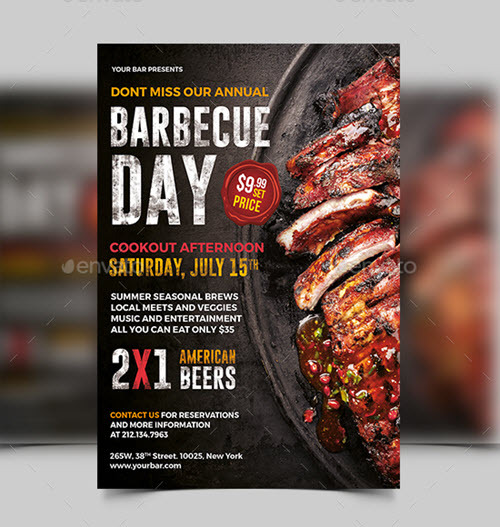 Just download any of the below listed BBQ flyer templates, add eye-catchy photos and the event details and start to invite all your potential guests with the help of top-notch flyer invitation. 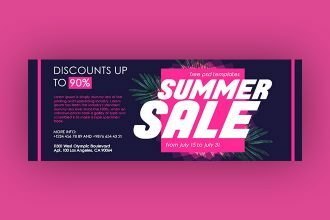 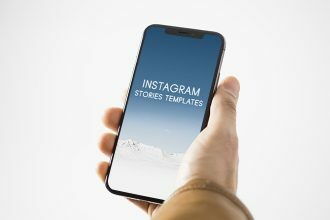 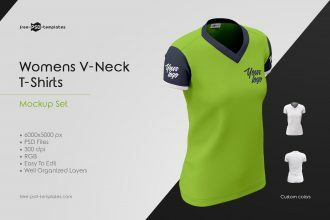 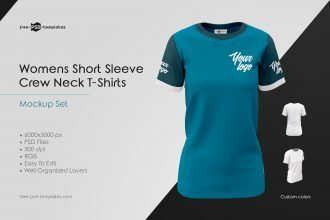 If you are currently working on several design projects related to web design, you can find helpful any of our free professional web PSD templates. 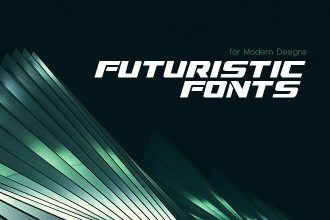 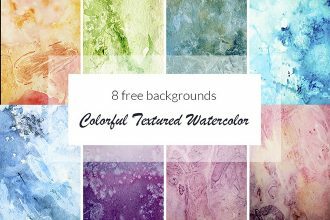 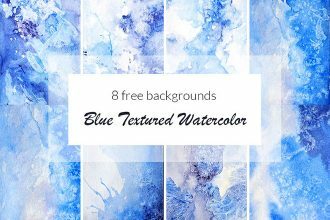 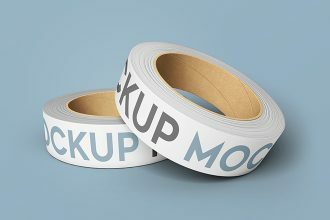 There are also a lot of other useful free design resources on our website, such as free graphics freebies or free icon sets. 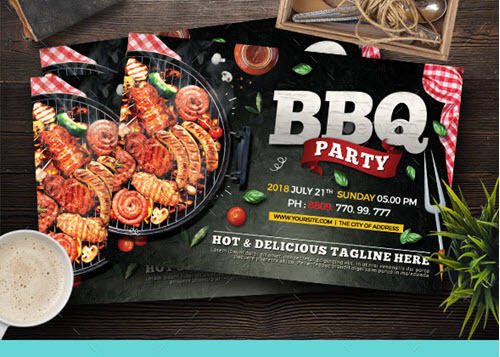 Right now, you are welcome to enjoy these creative and “tasty” premium and free barbeque party flyer PSD designs and use them for creating outstanding promotional materials or flyer invitations to your one-of-a-kind BBQ party event 2018. 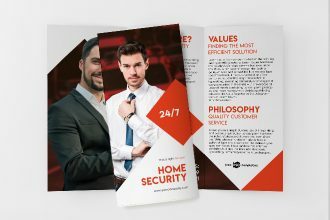 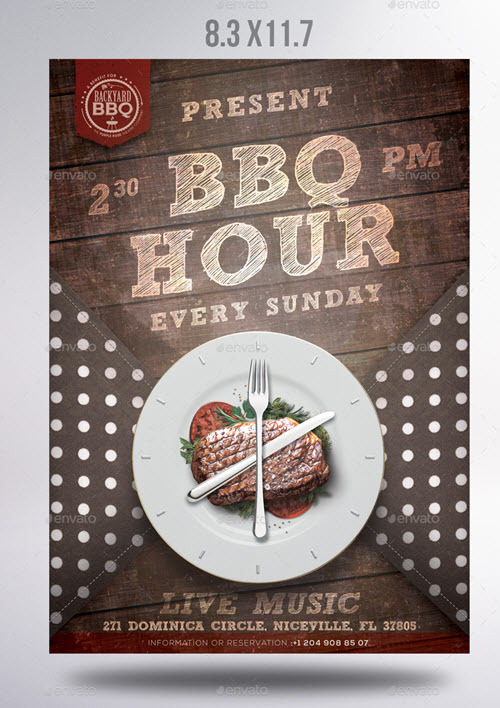 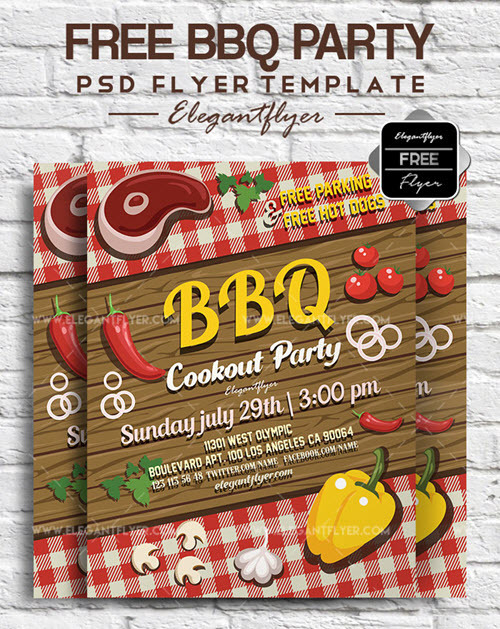 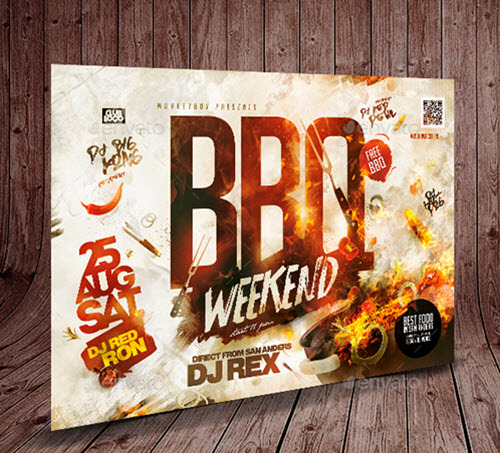 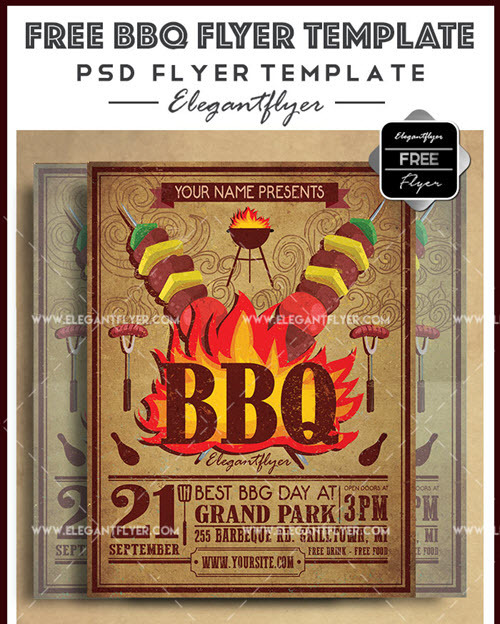 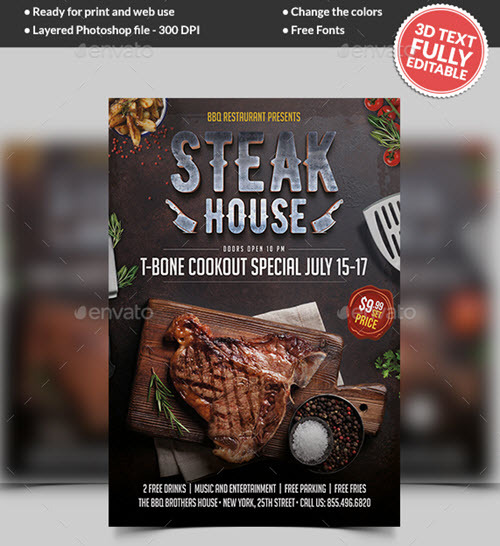 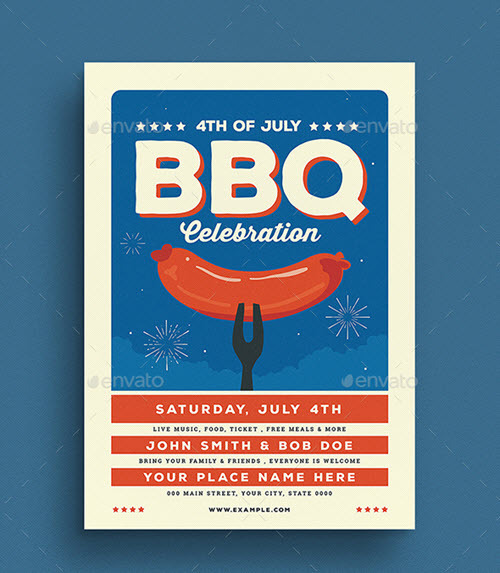 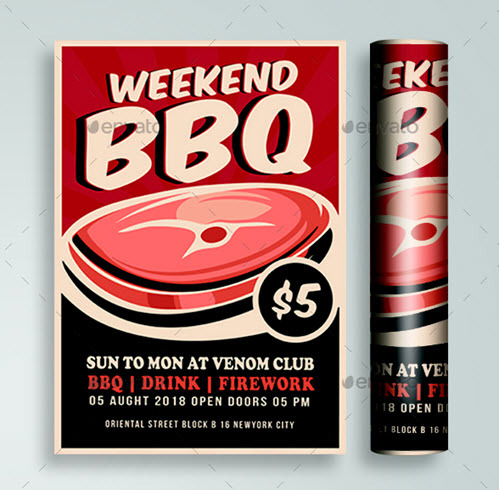 If you are planning to design a creative cartoonish flyer for a BBQ party event, then this interesting and creative print-ready free BBQ flyer PSD template is right for you! 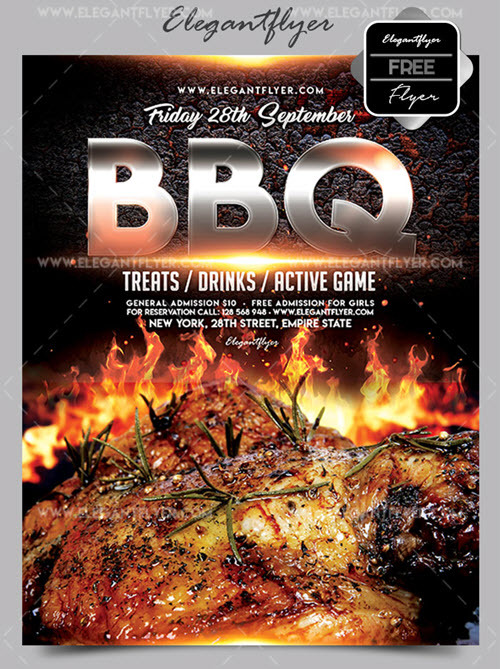 The flyer is set in 2625×3375 dimension (8,5″ õ 11″ with 0,25″ bleed) and is ready for personalization. 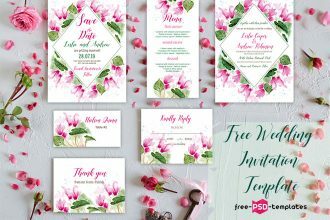 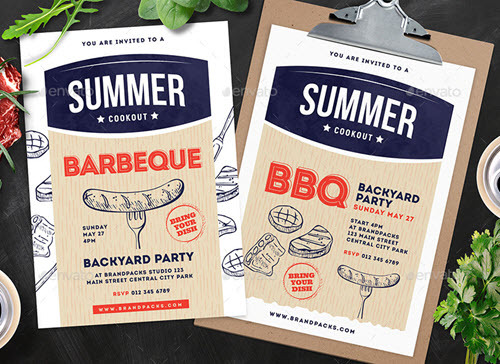 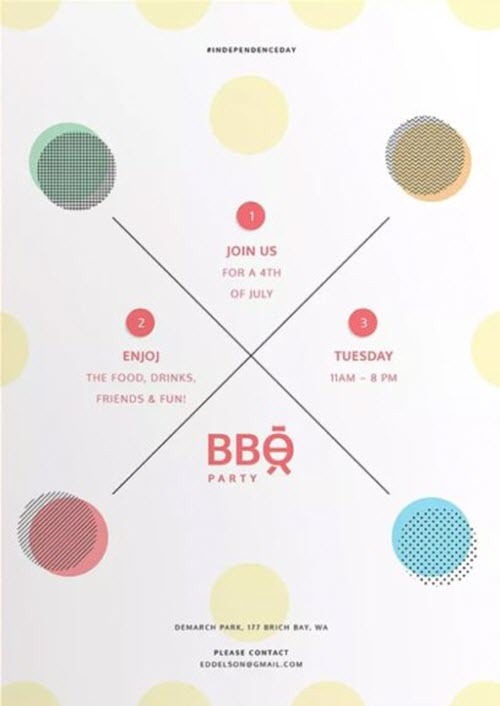 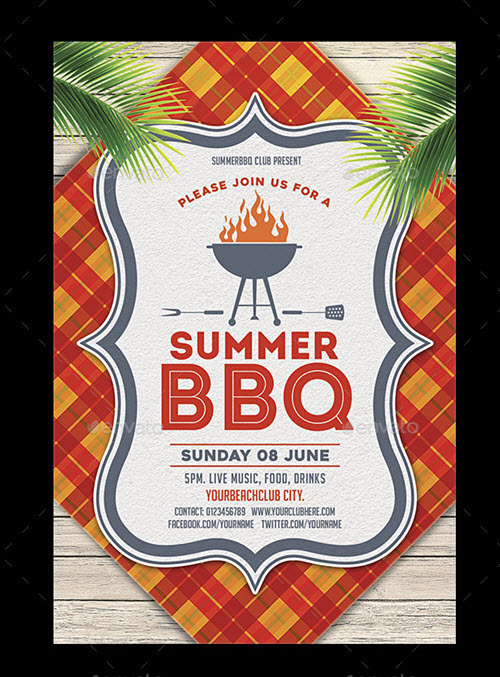 Download this stylish free barbeque party flyer PSD template in retro style for creating outstanting attractive invitations to a summer barbeque party. 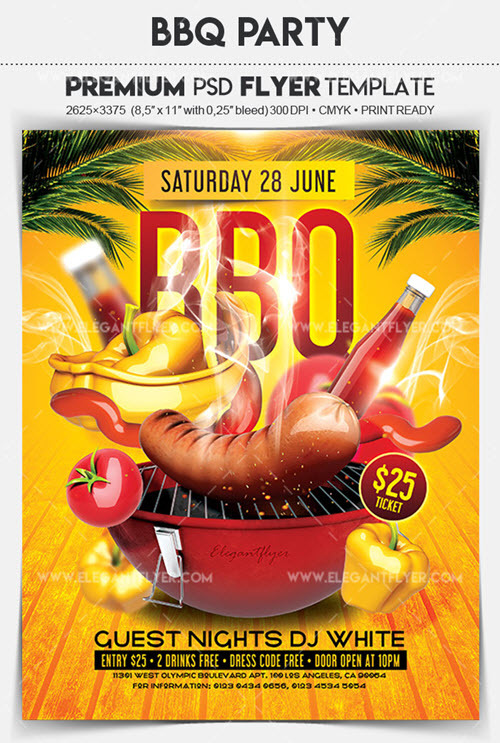 Previous Article 45+PREMIUM & FREE PSD SPRING FLYER TEMPLATES FOR THE BEST NIGHT CLUB PARTIES! 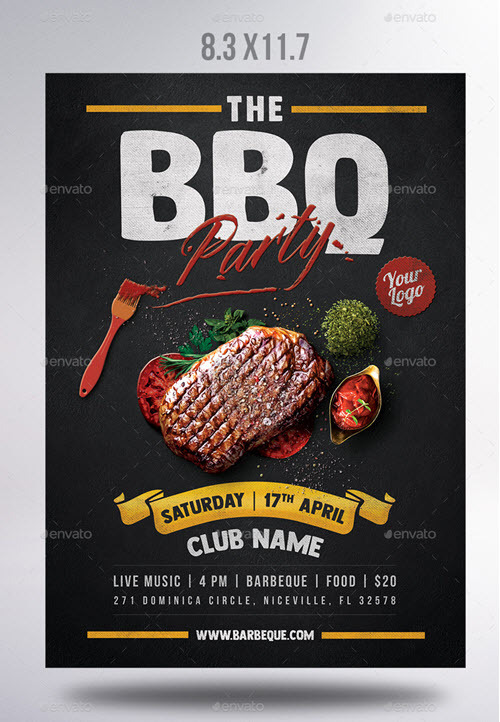 Next Article 40+PREMIUM & FREE EASTER PARTY FLYER TEMPLATES IN PSD FOR HOLIDAYS!